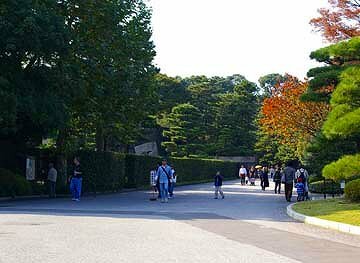 The Imperial Palace East Gardens are layed out in the area where Honmaru and Ninomaru of Edojo castle ever existed. 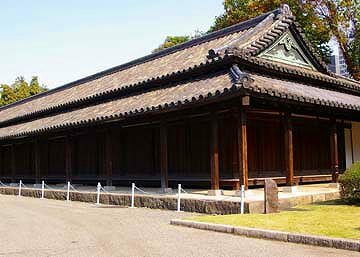 Edojo castle was founded by Dokan Ohta in 15th century as a fortress of Uesugi party against feudal landlords in Kanto.Tokugawa Shogun reconstructed it as a stronghold in late 16th century and it became the head office of Tokugawa government. 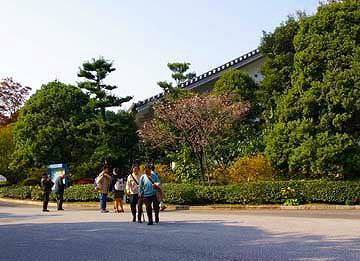 After the Meiji Restoration, it became the imperial residence. 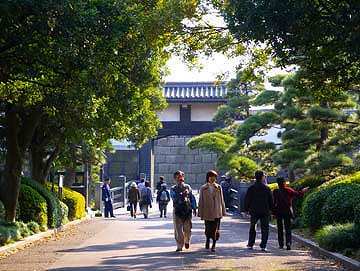 The site of Honmaru and Ninomaru had long been used as Imperial household facilities before it was opened to the public according to Emperor Showa's will in 1968. 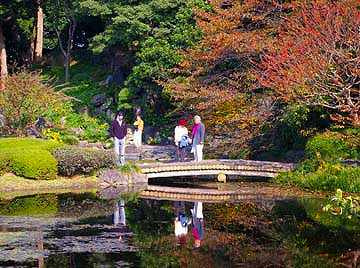 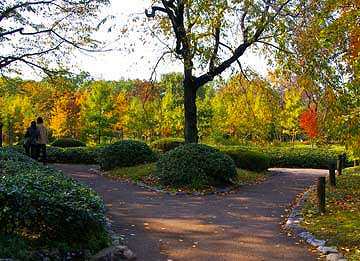 There are three gateways into the gardens, Otemon, Hirakawamon and Kitadumemon. 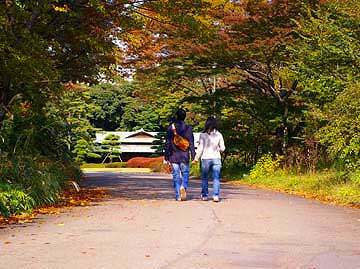 Otemon is nearest to Tokyo Station, so the most convenient to visitors. 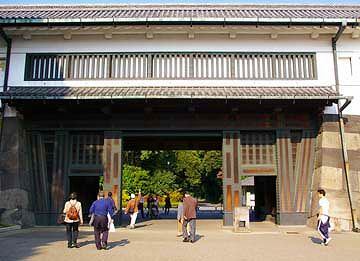 It was the main gate of Edojo Castle. 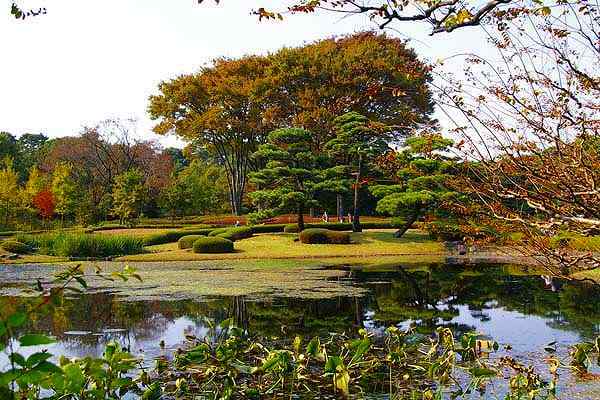 to have audience with Shogun. 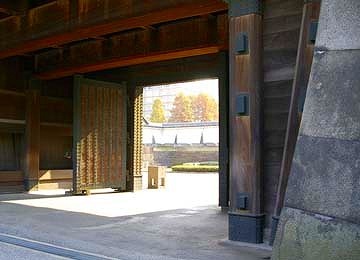 Inside Otemon gate, a vast open space designed in Japanese style. 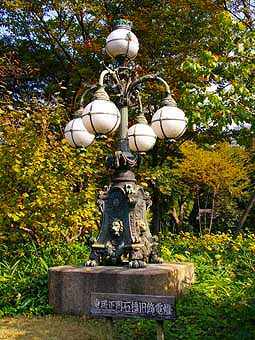 A lamp post stans on the road side near Ninomaru garden. 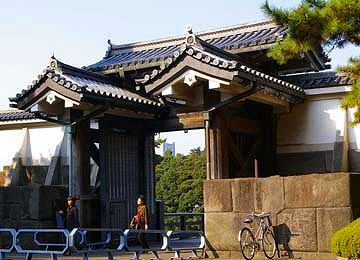 It had been standing by the main gateway to the Imperial Residence. 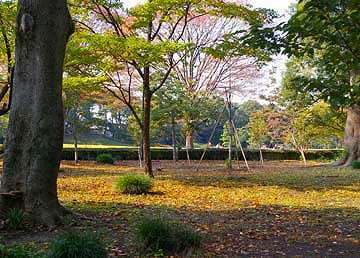 There are two types of gardens in Ninomaru. 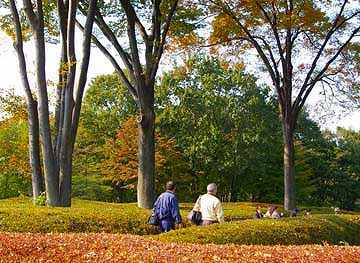 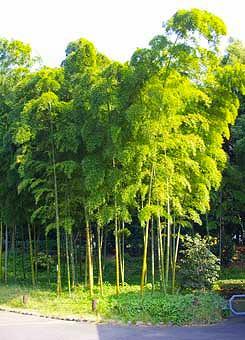 A forest of miscellaneous trees was planted by Emperor Showa. 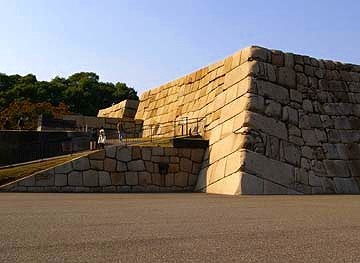 constructed by Daimyos all over the country. 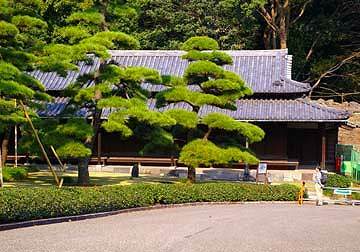 Guard offices along the way to Honmaru. 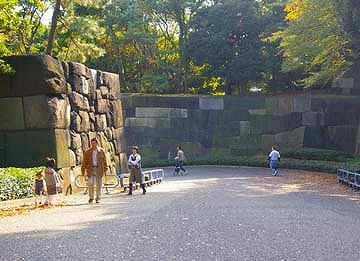 Massive stone walls stand up by the lane. 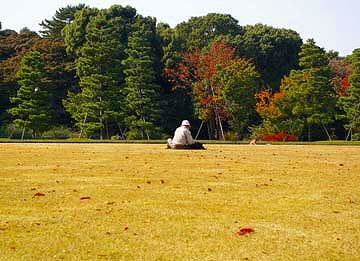 A vast lawn fields spread out on the site where Honmaru had existed. 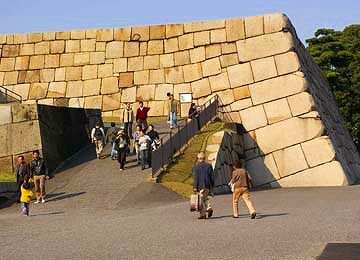 The Tenshukaku was burned down by the great fire in Meireki in 1657. 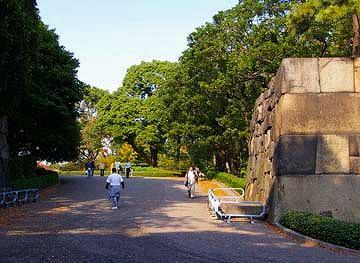 There is Kitanomaru Park next to the gate building.